What are varietal olive oils? These are extra-virgin olive oils (EVOO’s) that have been made from a single variety of olive, e.g., Arbequina or Picual. This is the same concept as we see in varietal wines, which are made using a single variety of grape, e.g., Pinot Noir, Shiraz, or Cabernet Sauvignon. As with wines, each variety of olive imparts a distinct taste to its oil. As you will see, and have the opportunity to experience in the store, olive oils can be classified by intensity: mild, medium, and robust. This method of classification is similar to that of, for example, Cheddar cheese. What are infused or fused olive oils? The varietals described above have nothing added to them from harvest to consumer. Some olive oils, by contrast, are augmented by introducing additional flavour. The other characteristics of the oil remain the same. Adding flavour is done in one of two quite different processes; one of them gives rise to what is referred to as ‘fused’ oil, the other to ‘infused’ oil. In the production of a ‘fused’ oil, the fruit or vegetable having the desired flavour, e.g., lemons or oranges, is combined with the olives at the time of crushing, that is, the olives and the fruit are crushed together at the same time early in the production process. An ‘infused’ oil, on the other hand, is one to which the concentrated oil from an aromatic natural source has been added later in the production process. Examples include herbs such as basil, and vegetables such as roasted onion. This method provides a wide diversity of flavour options. 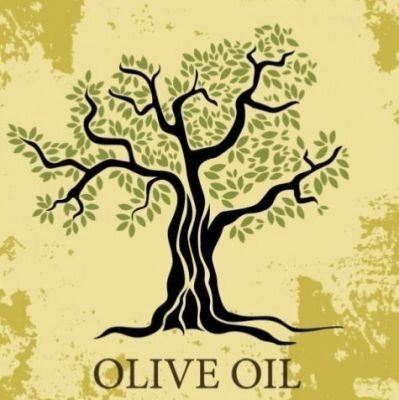 Specialty oils are not restricted to those made from olives. Many are made from seeds and nuts. Oil is extracted using one of several defined processes; sources include almond, sesame, walnut, porcini, and avocado. These oils are used as cooking oils or to add flavour directly to food. True traditional balsamic vinegars are produced in only two locations in the world: the adjacent provinces of Modena and Reggio Emilia in the Emilia- Romagna region of northern Italy. These vinegars are made primarily from Trebbiano grapes, though Lambrusco and other grapes are sometimes used. The ripe grapes are pressed and the mixture is then cooked for many hours to reduce it to a concentrate. The concentrate is then aged for up to 18 years in wooden barrels of various sizes. Because true traditional balsamic vinegar is very expensive, we are fortunate that other excellent balsamic vinegars are available to us. “Condimento” balsamic vinegar, for example, is similar to traditional balsamic vinegar, but its production varies slightly from that of the “true traditional” product, for example, it is aged for fewer years. Dark balsamic vinegars (often simply called “Balsamic Vinegars”) and white balsamic vinegars obtain their different colourings partly through the length of the reduction process and partly through the colour of their flavouring additives. The white vinegars often have a milder taste and are somewhat less sweet.